The transportation industry is facing exciting developments and challenges in 2018! As we transition into a new year, we are excited for what the future has in store for the transportation industry. 2018 promises to be a year of massive change in our industry. We have already noted the acceleration of the development of self-driving technology and the potential disruptions it may cause as it becomes more fully tested and adopted. While this particular technology is still a few years away from full implementation, we do anticipate further breakthroughs by companies such as Tesla and Volvo in the near future. What else should we expect from the transportation industry in 2018? Here are a few things to keep an eye on. The need for investment in our national infrastructure has been apparent for many years. Roads need to be repaired and repaved – bridges need to be checked for structural wear and tear and reinforced as necessary. By maintaining infrastructure, we can ensure that products are able to flow efficiently from one destination to the next. President Trump campaigned on investing sizable sums into reinvigorating our national infrastructure. Planning began this past December, with the White House expected to roll out a final proposal at some point this month. We are expecting this to be a major announcement that will benefit the transportation industry to a much bigger extent than any major policy proposal we’ve seen in the recent past. The ELD mandate came into effect on December 20th, requiring that trucking companies install electronic logging devices on each vehicle in their fleets and that drivers use them to track their work. While this mandate certainly has a major impact on driver safety, it could also exacerbate the current driver shortage problem that the transportation industry is currently facing. Current estimates made before the ELD mandate went into effect predicted that the driver shortage could grow from over 35,000 drivers today to more than 245,000 drivers in 2022. Protests over the mandate were frequent towards the end of last year, and they may continue early into the new year. Regardless, the driver shortage will have to be addressed in some form or another to keep commerce flowing smoothly. Most pundits agree that 2018 will be defined by the growth of new technology and of data. The “Internet of Things” refers to a growing number of devices that are connected to each other through a wireless internet connection that is used to make life easier in some way. Google Home and Amazon Echo devices are examples of items that are considered part of the “Internet of Things” which will actually impact the transportation industry in the coming year. These devices place a higher strain on companies’ supply chains, which, in turn, will put pressure on 3PLs and the broader transportation industry. On the data side, shippers are demanding ever more information about their shipments to increase productivity. Blockchain is currently dominating the conversation right now, and we should see further insights into how this new technology can be used in the transportation industry to improve the shipping experience for both carriers as well as shippers. Despite the various challenges facing the transportation industry in the coming year, the recent past indicates that business will continue to grow and generate increasing amounts of revenue for companies. 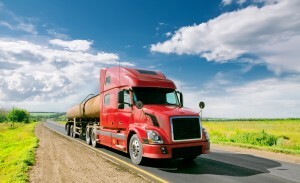 In fact, the American Trucking Association predicts that revenue in the trucking industry should reach a total of $1.25 trillion by the year 2028. Trust AFP Global Logistics in 2018! The experts at AFP Global Logistics understand the challenges facing shippers in the coming year and is equipped to help them navigate them. The current shortage of drivers, for example, may make it difficult for a shipper to negotiate a good rate for their freight on their own. But with our wide network of connections, we can help you secure the best deal for your shipments. We have been in business for 25 years, so we have first-hand experience of how the transportation industry has changed over time and how to handle any challenge that comes our way. Put our knowledge to work for your company! This entry was posted on Thursday, January 4th, 2018	at 1:56 pm	and is filed under News	. You can follow any responses to this entry through the RSS 2.0	feed. Both comments and pings are currently closed.